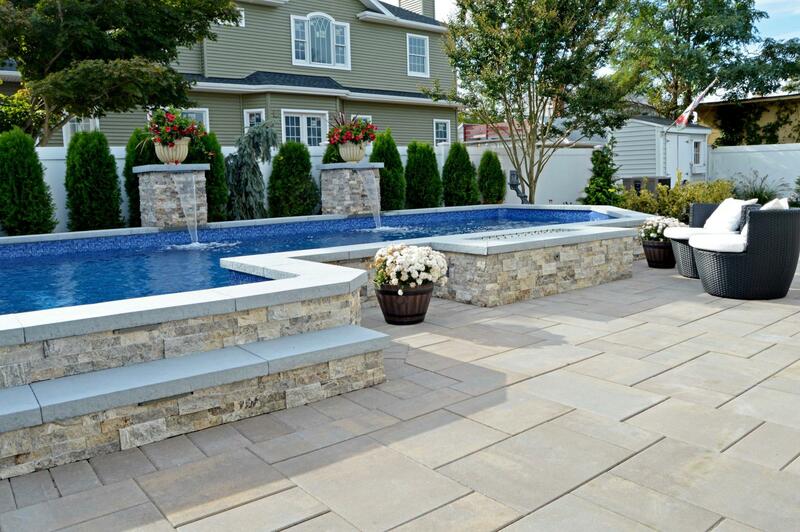 A truly relaxing and welcoming backyard takes more than just adding a pool. Thoughtful layout and flow in the space, careful consideration of how you live and entertain, and unified design elements all contribute to a relaxing oasis for your home. When creating your backyard escape, start with the pool itself as a cue. 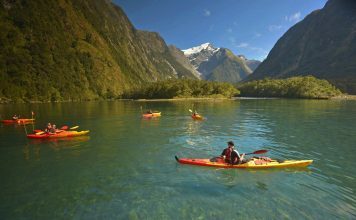 Do you need space for frequent large gatherings of swimmers, or is it more often just your family and a few close friends taking a dip? 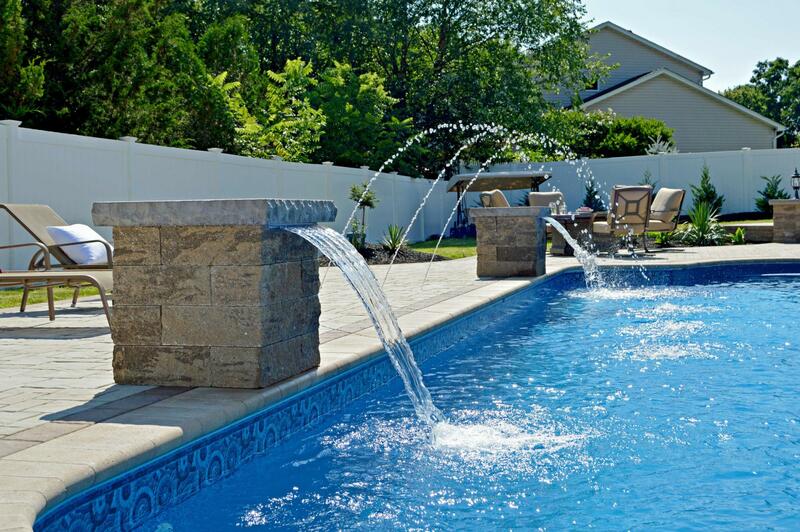 Once you figure out the size of your pool, you can more easily determine the features that will fit in around it. Another tip for a relaxing space is the flow of the area, and what shapes and materials best embrace the natural lay of land while suiting the energy you want your yard to have. 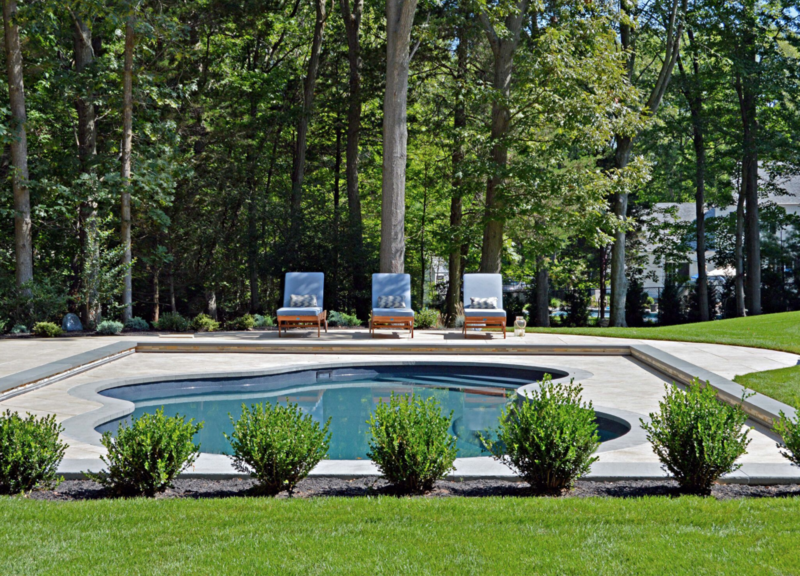 Curving lines—from serpentine walkways to the shape of the pool itself—create a relaxed, natural layout, as does selecting materials that tie into the surrounding landscape. Next, consider how you entertain—do you enjoy cooking? 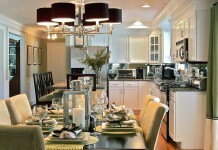 Do you often have lots of guests over who need to spread out? Or do you need lawn space for kids to play? 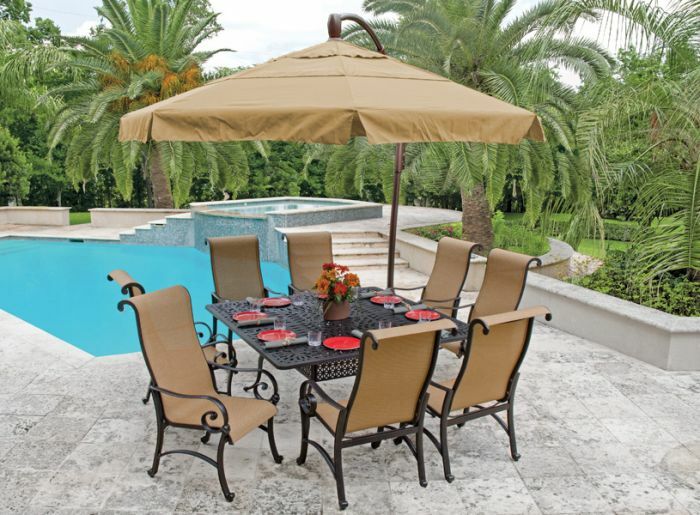 Look into the range of outdoor structures that might complement your lifestyle, such as an outdoor kitchen, built-in seating areas, and both covered and uncovered patio areas. 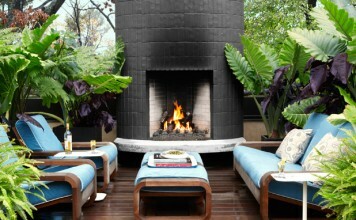 Need more ideas on how to enhance your backyard? 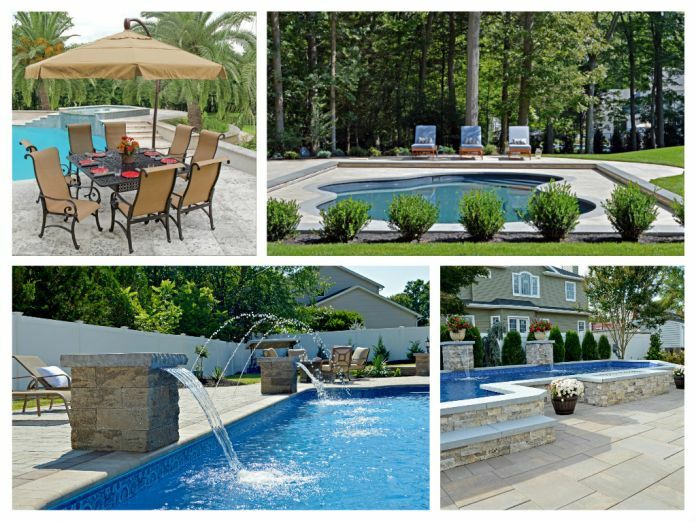 Look at the variety of details created by masonry firms such as Above All Masonry for all manner of outdoor spaces. The options are nearly endless, if you plan carefully, and take time to consider what works best for your lifestyle and what fits in your space. 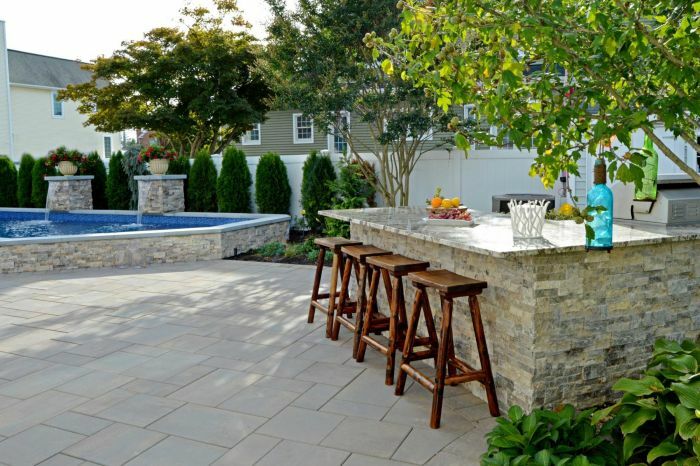 When adding an outdoor kitchen, for example, it is important to consider functionality and proximity. Placing it near the house, within easy reach of the indoor kitchen, provides easy movement between the two, and extends both spaces into one larger hardscape for entertaining. In this Port Jefferson, New York, home, the kitchen is conveniently tucked against the outer wall of the house, adjacent to the home’s full kitchen. A raised bar area provides seating for guests to chat and socialize while the host is cooking, and the seated dining area is not far away, making transitions to mealtime a cinch. 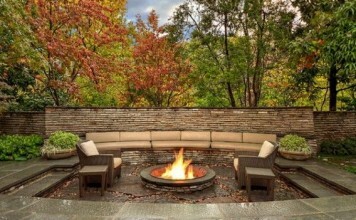 Multiple seating areas in a patio layout encourage a variety of uses and make for a welcoming space for any size group. Aside from dining areas, consider low, built-in seating throughout the patio, such as a curved sofa around a fire pit for cool evenings, and a shaded area near the pool for lounging on sunny days. Flexible shelter options like umbrellas or retracting shades in sunny areas allow the space to adapt to different times of day, and covering a portion of the patio with a high roof will let you enjoy the outdoors even on rainy days. The more flexible your space, the more often you and your family will use it year round. Finally, choose design elements that are clean and classic in style, and both in keeping with the home’s architecture and embracing the surrounding natural environment. A cohesive design is not only more welcoming and relaxing now, but will continue to be enjoyable for years to come.